If you're obsessed with St. Lawrence Market, then you'll likely develop a clingy relationship with Neo Coffee Bar. 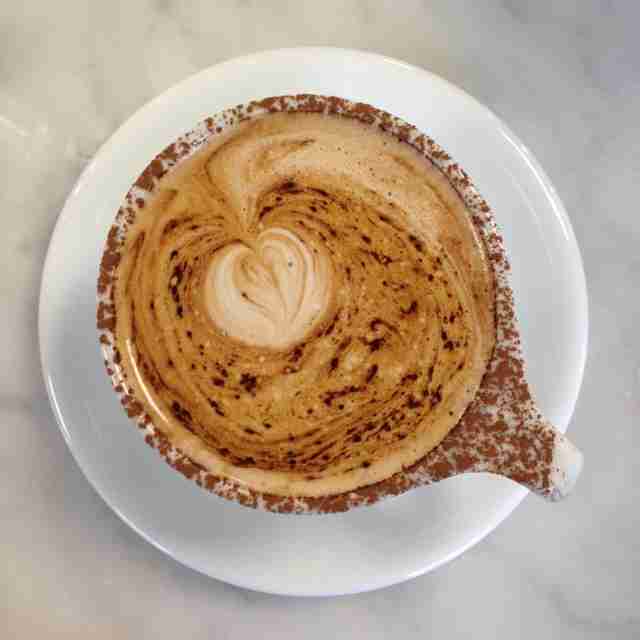 The brainchild of Bruce Ly and Masashi Nakagome pours a standard list of lattes and Americanos, but the house-made pastries redefine 'decadent.' Matcha white chocolate cookies were made for craft blends, and there's an assortment of Japanese-style rolls stuffed with organic red beans, black tea, raspberries, and 64% dark chocolate truffles. Odin is a søsken to Bathurst's Thor Espresso Bar, and its roasts are as striking as the Nordic influence. The space -- which is located on the ground floor of a condo -- was designed by the local studio Phaedrus; the Baltic birch bar, mural by Toronto artist Tara Niewiadomski, and modern, angular interior add a sense of comfort to the Pilot roasts, baked goods, and local microbrews. The cortados and braised beef empanadas are worth the trip. The new-ish locale at Bloor and Brunswick sticks by The Common's standards -- great roasts, a friendly environment, and reinvigorating Harmony Organic milk drinks. Like the other locations, it operates without a menu or a price list, initiating conversations with knowledgeable baristas who know a thing or two about using Rufino and Mountain View beans to craft the perfect pick-me-up. Creeds is primarily known for being a beloved dry cleaning business that's been around for more than 30 years, so why not open a cafe? All the drinks are made with beans from Pilot, local roasters. There's bottles of Greenhouse Juice Co. if you prefer your buzz from leafy plants and lots of ample space for vegging out with a book or meeting up with a friend. This coffee and wine bar takes pride in serving one drip brew at a time -- it's an efficient tactic for emphasizing Boxcar's refined taste. Recent roasts include an Ethiopia Duromina from Lofted and George Howell's Kenyan Karatu AA roast, with notes of blackberries, grapefruit, and black currants. Pick a window seat and take in views of the river. 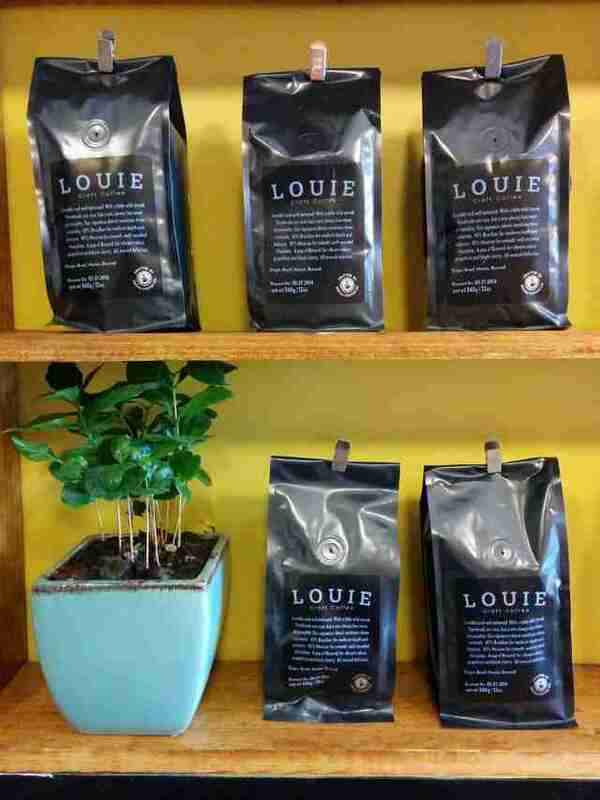 Louie Craft Coffee has become a regular for the regulars in Liberty Village, and it's because there is a lot to love. The coffee bar, decked in globe lights and a black-and-yellow scheme, serves a house blend -- courtesy of Richmond Hill’s Social Coffee Co. -- that's a mix of Brazilian, Mexican, and Burundian notes. 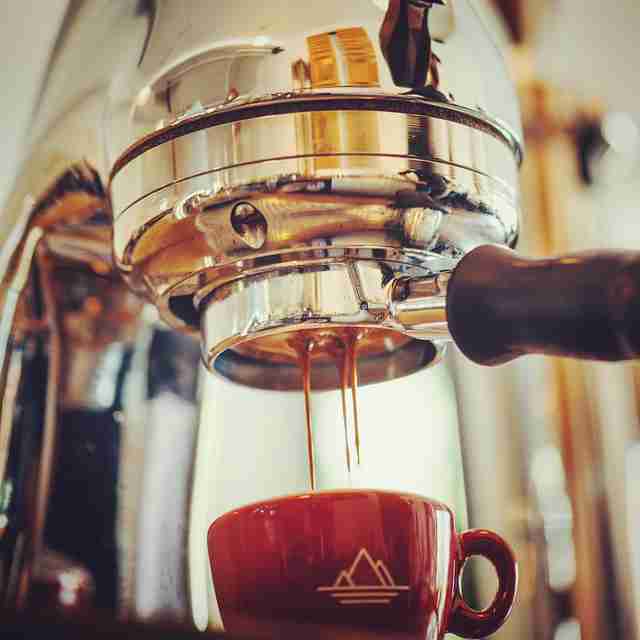 The best part: baristas use a dream machine like the Strada La Marzocco to make espresso. 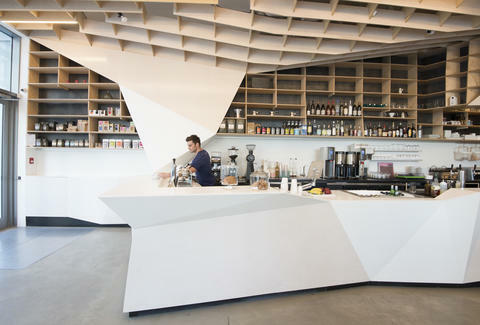 The Coffee Lab is inside the Annex's Willow Books, but don't be fooled by its size. The 52sqft coffee bar is an experimental outpost from Joshua Campos (ex-Sense Appeal, Rufino Espresso) that uses beakers, test tubes, and Erlenmeyer flasks to craft standards that bubble with flavour. Quantum Coffee inhabits a building with a lot of history, but its primary focus is leaving a footnote on Toronto's craft coffee scene. The King Street West spot solely uses a curated selection of single-origin beans, which pairs deliciously with snacks from Leah's Bakery and Baker & Scone. If you want a low-key show with your coffee, the tops of the creme brulee cappuccinos are caramelized with a blowtorch. Fun fact: the pour-overs are made by Canada's first-ever automated Pour Steady machine. Mercury Espresso Bar is a cherished Leslieville treasure, and it's because of the staff's immense coffee IQ and how the macchiatos, flat whites, and overall selection of speciality drinks pairs with a homey atmosphere. If you're feeling adventurous, let the barista recommend an espresso or an entirely new creation from the touted slow bar. 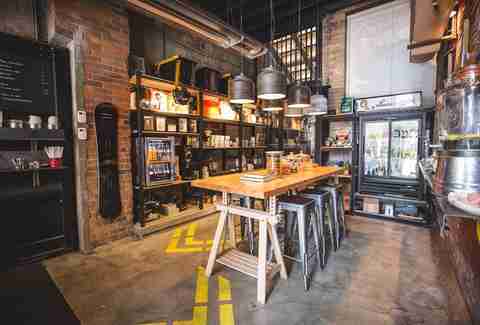 Despite being around for two decades, Reunion Island recently opened its first flagship shop in 2015, which has quickly become a hotspot in Roncesvalles for French roasts, pour-overs, and summer-ready cold brews. It also has its own line of Benchmark teas, including organic chai, lemon oolong, and organic vanilla rooibos. 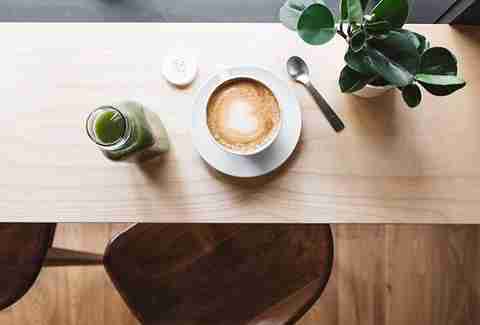 Sam James has always kept it simple and because of that, there isn't a reason for the indie coffee shop to change. As any SJCB diehard will tell you, it's all about the classic drip coffee from the cafe's own brand Cut Coffee. Trust us: the hospitality at all of the locations can convince anyone to take home a one-pound bag of CC espresso blend. Tokyo Smoke looks like an Urban Outfitters transplant -- it's practically a remodeled shipping container -- but the coffee trumps trendiness. The espressos and drip beverages are made with custom coffee beans from North Toronto's de Mello Palheta, and the Vietnamese and Canadian drinks are sweetened with condensed milk or maple syrup. There's also loose leaf teas from Pluck, seasonal picks from its own fashion house, and a collection of international candy. Sumach Espresso is the new kid on the block in Corktown, thanks to owner Mike Cullen. The spot used to be a shady convenience store called New Regent Variety and now it's a family-friendly coffee haven that uses Classic Coffee's Rufino beans for espressos, mochas, and cappuccinos. There's also tea from the Metropolitan Tea Company and in-house brownies that are said to be inspired by Thomas Keller's Bouchon Bakery. A small storefront plastered in flower-punk decor, Tucana Coffee is dedicated to being what it’s supposed to be: a coffee shop. Helmed by Tenille Clarke, it uses quality beans from Pilot and sells baked treats, ranging from vegan cookies and muffins from Bunner's Bakeshop to full-fat pastries from the Parkdale bakery, Flagship.